Book Description (Via Amazon):While duck hunting one morning, childless, middle-aged Nathan McCann finds a newborn abandoned in the woods. To his shock, the child — wrapped in a sweater and wearing a tiny knitted hat—is still alive. To his wife’s shock, Nathan wants to adopt the boy…but the child’s grandmother steps in. Nathan makes her promise, however, that one day she’ll bring the boy to meet him so he can reveal that he was the one who rescued him. 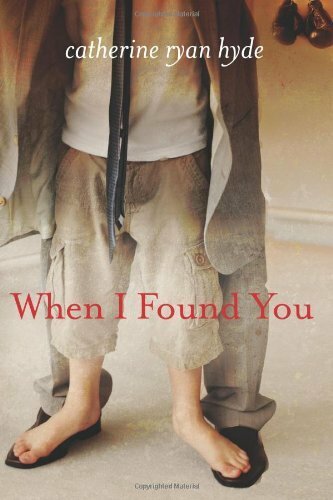 Fifteen years later, the widower Nathan discovers the child abandoned once again—this time at his doorstep. Named Nat, the teenager has grown into a sullen delinquent whose grandmother can no longer tolerate him. Nathan agrees to care for Nat, and the two engage in a battle of wills that spans years. Still, the older man repeatedly assures the youngster that, unlike the rest of the world, he will never abandon him—not even when Nat suffers a trauma that changes both of their lives forever. Review: I thoroughly enjoyed reading this book as I feel it tells a compassionate and compelling story of the human experience. Nathan’s seemingly content life is changed when his dog finds a newborn baby in the woods. Seeing the helpless infant makes Nathan suddenly realize he wants to adopt the child — a prospect his wife is not too keen on. He believes that fate conspired to bring him into the boy’s life. When the police learns the child has a grandmother who will take him in, Nathan is disappointed but determined to stay in the boy’s life, even as an invisible guardian who sends holiday presents. He asks that the grandmother not forget him and promise to bring him to meet his some day. The grandmother decided to name the child after Nathan [which he is unaware of in the beginning] and she tells the boy about “the man in the woods”. For the next several years, Nathan leaves a present at their doorstep for the boy on his birthday. Then one day, the distraught grandmother knocks on his door with a 15 yr old Nat in tow. She pleads with Nathan to take her delinquent grandson, off her hands before she loses her mind. That’s when the story really begins to unfold. What I enjoyed most about this book was that none of the characters were perfect nor did circumstances neatly fall into place. The only constant within this story is the theme of commitment and love that doesn’t falter when the “going gets tough”. It ties together the notions of integrity, determination, promise and love. Especially in the world we live in today, this could be considered a realistic glimpse into the human experience in a way that makes you question, “How far would you go to keep a promise?” It also shows whether we choose to admit it or not, many of us long for acceptance and validation. The characters are nicely written and the author does a remarkable job of portraying their thoughts and feelings. Even those of ambivalence. I really enjoyed this book. I found it to be very touching; without going overboard and it held my interest from beginning to end.